Bowling and ice skating are high on the list for indoor fun with family and friends. Whether you are just getting the recreational juices going or are seriously competitive, the clack of balls on skittles or the swish of blades on ice all add up to great family fun in a well-equipped, purpose-built modern environment. 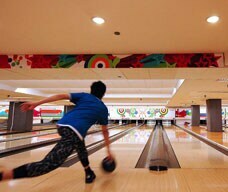 On the Macao Peninsula, you can find comprehensive bowling and skating facilities in Future Bright Amusement Park, as well as an arcade game centre, children’s playground and restaurant. The Future Bright Skating Rink is popular with teenagers and ice hockey teams but welcomes all ages and levels. No special attire is required and ice skates are available for rental. Opening hours: Bowling - 10 a.m. to 1 a.m.; Ice Skating - 10:00 a.m. to 10:30 p.m. 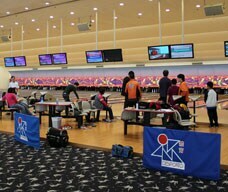 Occupying an area of 5,830 square metres, the Bowling Centre was inaugurated in October 2005. This first-class bowling facility - located next to the iconic Macao East Asian Games Dome - meets international competition standards and has become a magnet for both local residents and visitors alike.